Thomas K. Berg's practice encompasses health law, complex commercial litigation and mediation, and the negotiation of business and governmental contracts. Litigation. Mr. Berg has extensive trial experience at all levels in both federal and state courts. The matters he has handled involve complex business and legal questions, including restraining orders, injunctions, issues of constitutional law and filing of an amicus curiae brief. Mr. Berg's litigation on behalf of clients has included health care, employment and a variety of contractual and financial issues. He is also experienced in alternative dispute resolution procedures. Health Law. Mr. Berg works extensively with a wide range of medical and health care problems. Included among them are governance issues, liability, insurance and regulatory concerns surrounding blood products, and bone marrow and umbilical cord blood transplantation. He also advises clients on matters involving informed consent and Institutional Review Boards. Contracts. Mr. Berg has negotiated major long-term contracts with businesses and governmental units in both the United States and internationally. Mr. Berg has an extensive public service background. He served as the United States Attorney for Minnesota, litigating both civil and criminal matters. He also served four terms as a State Representative in the Minnesota House of Representatives. 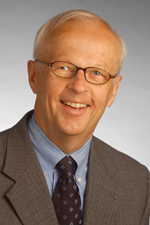 Mr. Berg joined Hinshaw & Culbertson LLP in May 1997. Hinshaw’s Thomas Berg Authors "Minnesota’s Miracle: Learning Lessons From the Government That Worked"